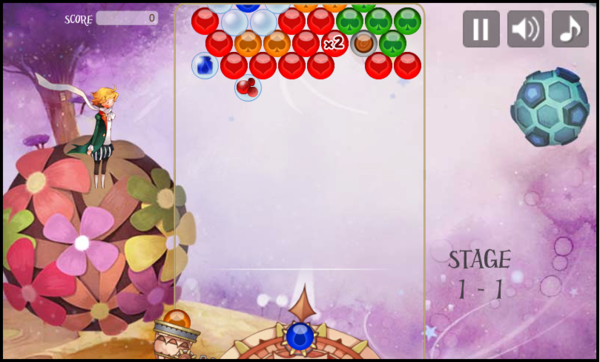 Twinkle Pop is a casual game of the bubble-popping variety developed by Bluega. It’s developed on their proprietary BXG engine for which they’ve developed packaging tools that package the game into the iOS and Google Play App stores. What’s exciting about the game is that with one code base and an engine that hot-swaps between DOM, DOM+Canvas and Canvas, they’re able to target the Chrome Web Store, Google Play, the Apple app store, Facebook and Tizen. For browsers, it’s able to run on Internet Explorer 8, IE9, Opera, Firefox and any of the WebKit browsers. You can read more about the game in their Technical Notes blog post and check out the Web version of the game.